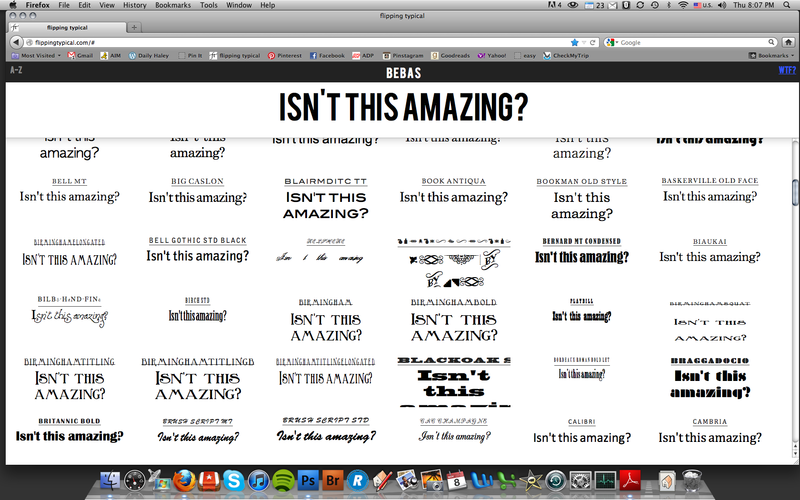 Ummm….whoa…I have just discovered the best site ever. Actually, I didn’t discover it. I was perusing http://designeditor.typepad.com when I came across the little tidbit of info that had been suggested to them by one of their readers. It is flipping typical. It displays all the fonts you have installed on your computer on one screen. This might be the most brilliant thing ever. Just go try it out.